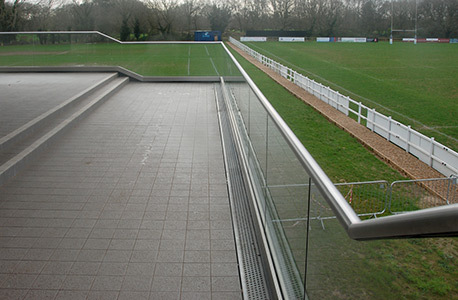 Duncan-Lynch offered it’s architectural fabrication service to Redingensians Rams Rugby Club. 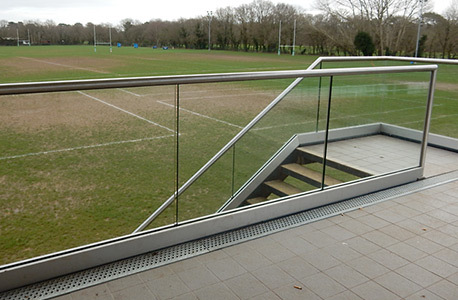 Duncan-Lynch was very pleased to supply and install the glass balustrade to the viewing balcony at Redingensians Rams Rugby Club in Sonning as part of their extension to the club house in 2014. 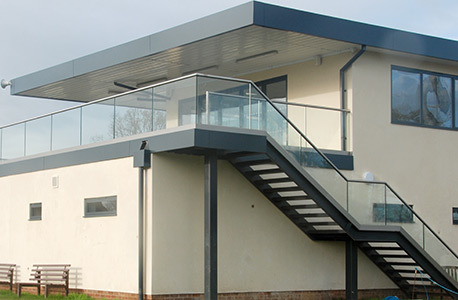 The design was detailed to suit the actual building, once the structure was in place. 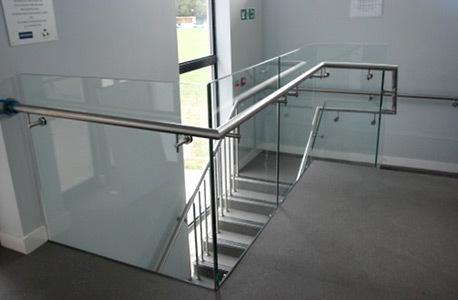 Duncan-Lynch used its in-house CAD system to produce the final design, manufacturing in-house the bespoke parts, ordering the fittings and supplying the glass. This project was planned in-line with the building schedule and was completed on time. We are happy to chat about your idea. Why not Contact Us > with a brief outline of what you have in mind. Our sales engineers will respond within a few hours and discuss any particular challenges you face. They can help advise on the most suitable material choices. We offer a free, no-obligation, quotation.